Polished Aluminum Differential Cover for Ford Dana 80 - Chose from over 32 different powder coated colors and drain/fill plug options. Cover is finned aluminum and made from 356 aluminum alloy, heat treated to a T-6 condition for strength and durability. They are not only attractive they have larger oil capacity and offer better heat dissipation from the aluminum fin design. All fasteners and fill plug are standard for this cover and are included. Ford F350 HD 99-Present; Ford F450, F550 99-Present. 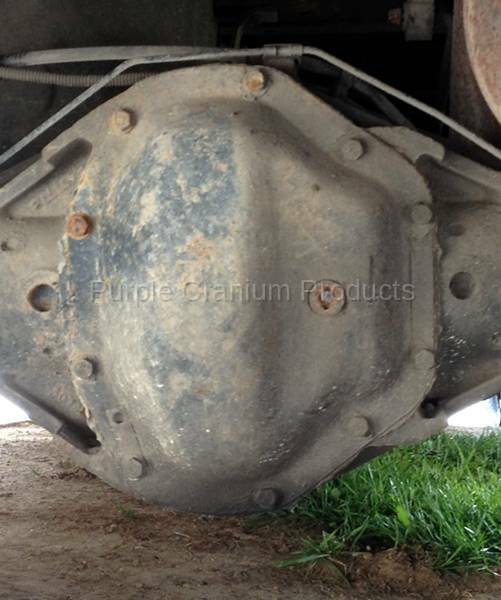 Still do not know if this is the differential coveron your truck, check out the stock photo we have of the Dana 80. Still not sure what model your vehicle requires? You can e-mail us 24/7 at sales@purplecranium.com or call 517-545-0032, we will help you out. Option for powder coating the front face of the aluminum fin. If choosing a powder coat option below. 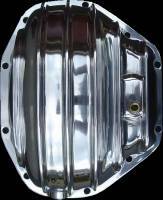 PCP lets you build your Aluminum Differential Cover here on our site; choose the color, drain and/or fill plug and gasket type. *Powder Coating - Over 32 different colors to choose from, from clear to textures and everything in-between. your aluminum cover exponentially and it does not dull the polished aluminum shine whatsoever. option. Automakers suggest changing you gear lubricant once every 15,000 miles (about a year of driving). hands do not even get dirty. maintenance easy. Taking into consideration all the fluids used in a vehicle the axles are the least maintained. the differential components. When changing your gear lube simple clean the magnet off before reinstalling. *Gasket - Let's face it some of us do not like gaskets on our oil pans, valve covers or your differential covers, etc. elastomer sealant). Rather than include and charge you for a gasket that may never be used we leave the decision to you.